The Piccadilly Arcade forms a charming covered walkway between Jermyn Street and Piccadilly. Lined with 16 attractive small boutiques, the arcade was built in the early 1900s. Retailers include tailors, jewelers, shirt-makers, a mustard and vinegar maker and even a specialist in hand painted traditional toy soldiers and military and naval antiques, bugles, banners and orders of chivalry. 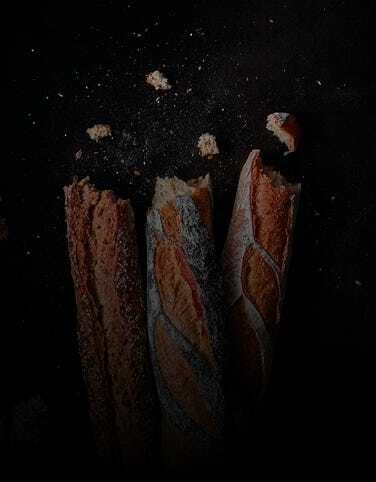 PAUL’s bakery and café can be found at number 6, with its tall, narrow bow windows, and is an excellent destination for a real taste of France, offering classic viennoiseries, patisseries, freshly baked bread, artisan sandwiches, salads, hot food and hot and cold drinks. Piccadilly Arcade is one of three similar arcades on Piccadilly. Burlington Arcade is directly opposite and runs north from Piccadilly, parallel to Old Bond Street, to Burlington Gardens. Princes Arcade also runs from Piccadilly to Jermyn Street. Piccadilly runs from Piccadilly Circus to Hyde Park Corner, with beautiful Green Park to the South and numerous famous landmarks along the way. St. James’s Piccadilly is an elegant church designed by Christopher Wren. The foundation stone was laid in 1676 and it was consecrated 8 years later. Apparently he wrote to a friend “I think it may be found beautiful and convenient”. It suffered badly from bomb damage during the second world war but was restored and rededicated in 1954. It has a lovely paved courtyard garden with a regular market selling all sorts of interesting things. Fortnum & Mason is almost next door, a treasure trove of delights. A large branch of Waterstone’s occupies the former site of Simpson’s. BAFTA (the British Academy of Film and Television Arts) has its headquarters at number 195. The Royal Academy of Arts, founded in 1768, is opposite the Piccadilly entrance to Piccadilly Arcade. Its world famous Summer Exhibition has been held every year for over 200 years, and it hosts many hugely successful loan exhibitions. 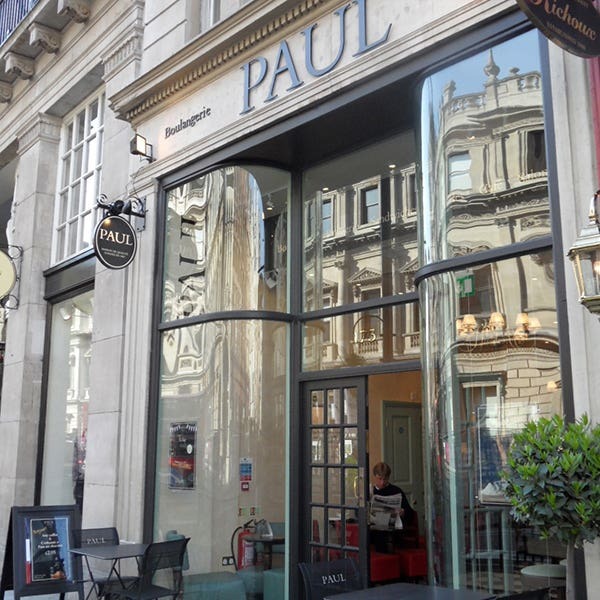 To visit PAUL in Piccadilly the nearest stations are Green Park (Victoria Line, Jubilee Line, Piccadilly Line) or Piccadilly Circus (Piccadilly Line, Bakerloo Line). 22 seats are available. Disabled access available. Free wi-fi.